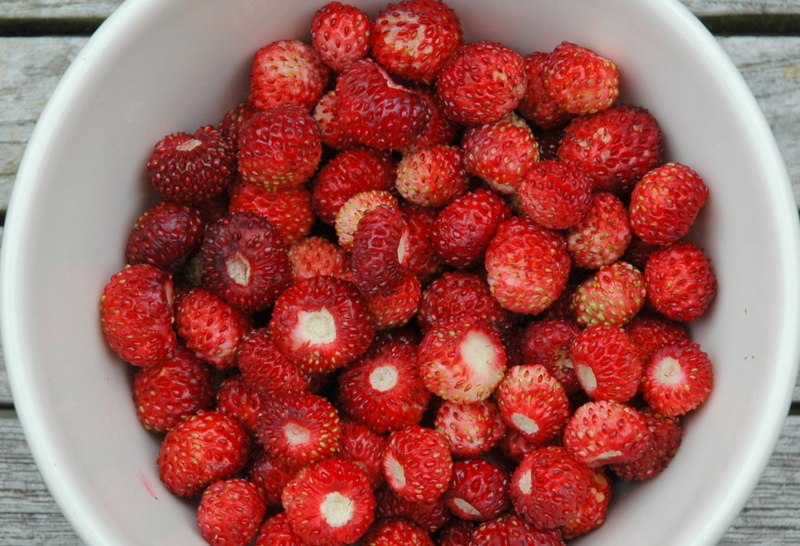 We picked a wonderful crop sweet wild strawberries today. They seem to be taking over one of our borders. Now we just need to decide how to eat them. Perhaps a thin home-made pizza base with crème fraiche smothered across it and the strawberries sprinkled on top. If only Raymond Blanc were here to provide more ideas. I love strawberry topped meringues! You’re lucky – here it’s been so cold this year that the blackberries near my home that normally ripen at the end of June are still GREEN and it’s July!! !